LUCIFERS CHILDGreek black metal band featuring members of Rotting Christ, Nightfall and Chaostar! LUCIFER’S CHILD originates from Athens. Its music is a bridge to the world of atmospheric black metal, and a vessel for spiritual self-expression through lyrics. 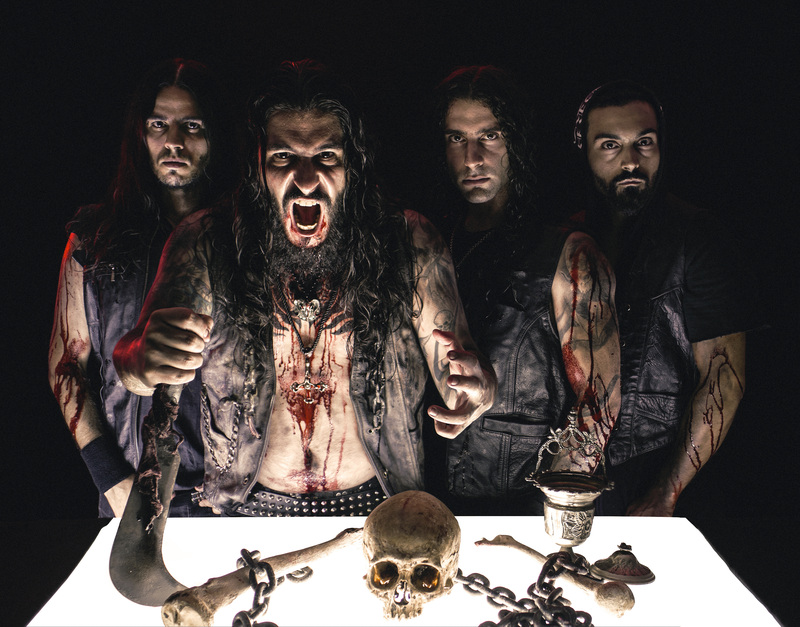 The goal of unifying these two elements gleamed clearly in the eyes of George Emmanuel, a prolific guitarist primarily known for his work as part of Rotting Christ (and a former guitarist of Chaostar), when he formed the band together with bassist Stathis Ridis (a member of another long-running Hellenic metal unit, Nightfall) in 2013. Born from a partnership between two talented musicians, the duo quickly expanded to take in vocalist Marios Dupont (Karma Violens) and drummer Nick Vell (Chaostar), and delivered their debut album, „The Wiccan“, in 2015. Encouraged by the album’s keen reception, followed by several festival appearences (incl. Inferno Festival, Blastfest and Incineration Festival), LUCIFER’S CHILD returns in a darker, more extreme shade, passionate in outperforming its bold debut.